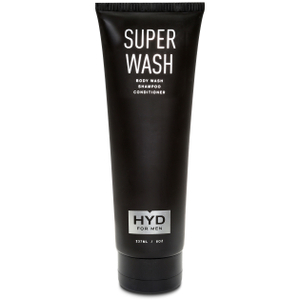 Discover the range of innovative male grooming products from HYD here at Mankind. Founded on the philosophy that the modern man is boundless, HYD believe that the only limits men are held to are the ones set by their own mind. The brand has a range of innovative grooming products to make every man’s daily routine efficient and effective. Each and every product is designed to keep the customer both looking and feeling fresh all day long. My shaving products ruin my razor, which product can I use to stop this from happening? 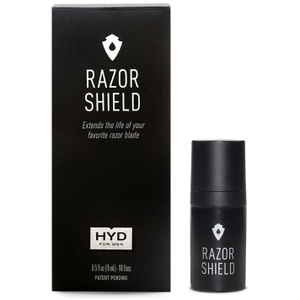 HYD Razor Shield is the ultimate shaving product made to protect your razor blades, keeping them sharper for longer. The average man will need to replace their blade each week but by providing a protective barrier; Razor Shield will help blades to last for up to a month! Formulated with natural ingredients including tea tree oil, aloe vera and jojoba oil, blades won’t become dull from chemical reactions and skin will be smooth, nourished and moisturised. How can I quickly and easily exfoliate my face painlessly? The HYD Buffer Stick is the ultimate one step microdermabrasion and hydration stick. By exfoliating without pain or irritation, it removes dead skin cells whilst providing skin hydration and nourishment. Designed to invigorate and energise the skin, it will enable your skin to better absorb your usual skincare products whilst boosting youthfulness. It’s also not tested on animals.